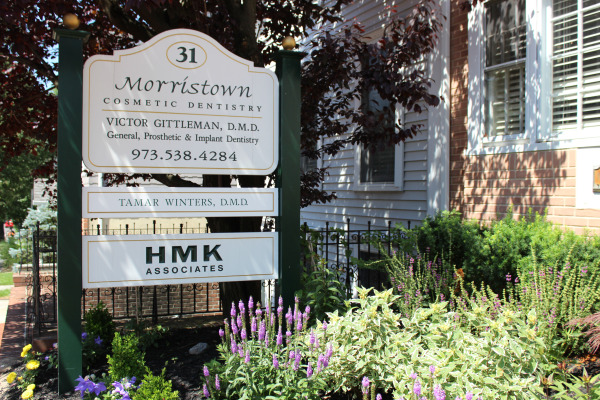 Morristown Cosmetic Dentistry focuses on supplying patients with quality dental care. We are a full-service practice offering everything from routine cleanings and exams to comprehensive full-mouth rehabilitation. The dental care Dr. Gittleman provides helps patients build and maintain healthy, beautiful smiles. Since 1984, our dentists have helped hundreds of patients in Morristown improve their dental health and enhance their smiles using the latest in cutting-edge dental methods and technology. He has practiced under highly-trained professionals and acquired a great degree of skill in the field of general and cosmetic dentistry to earn his reputation among the best cosmetic dentists in New Jersey. Dr. Gittleman’s commitment to excellence ensures each patient receives the utmost standard of care. Dr. Gittleman opened his practice in 2013 to broaden the scope of dental care he can provide for patients and bring quality dental care closer to his area. As New Jersey’s Top Dentist for three consecutive years and running, Dr. Gittleman holds the treatments he provides for all his patients to the highest standard. Patient education and good dental health often go hand in hand. Dr. Gittleman assists patients in understanding proper ways of maintaining dental care in between the visit to ensure teeth remain healthy at all times. We put a great deal of focus on supplying patients with educational tools to keep informed with the latest trends in dentistry. Additionally, receiving the proper diagnosis is important to supply patients with the care they need to improve and maintain dental health. We ensure patients are well educated and prepared with several reliable, restorative treatment plans. Patient education encourages individuals to take a proactive approach to their dental health. Understanding their options allows for informed decisions on improving their smile. When patients understand that they are essentially responsible for their teeth, Dr. Gittleman can conduct treatment to bring out the best in smiles. Find out more about maintaining your dental health by contacting Morristown Cosmetic Dentistry. Schedule a consultation with Dr. Victor Gittleman to receive a comprehensive examination and determine which dental treatments work best for you. Our services extend to Madison, Randolph, and other communities in Morris County.